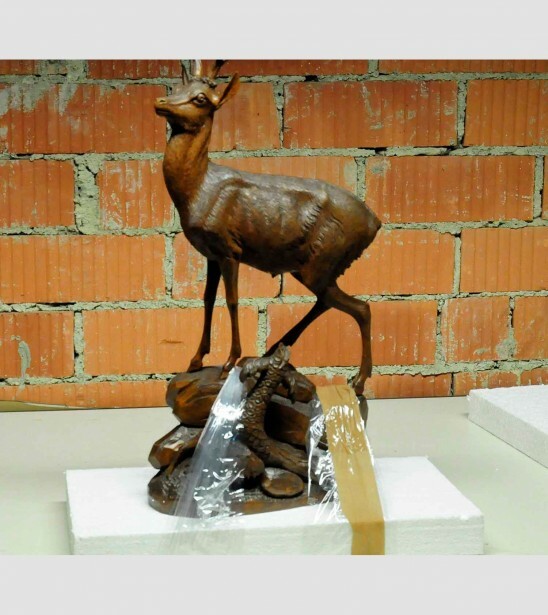 The packaging picture series of the two ibexes in our last blog article about the secrets of packaging antique parts has shown artfour´s detailed workout with styrofoam pieces and tape. One might say that this is also fine art. The challenge today is a marvellous wood deer statue from Brienz (1900). Stately proportions, filigree protuding parts and therefore a job for packaging experts. What would we do without styrofoam pieces and tape? Watch carefully how we turn a beautiful wooden scuplture into a big brown cardboard box.